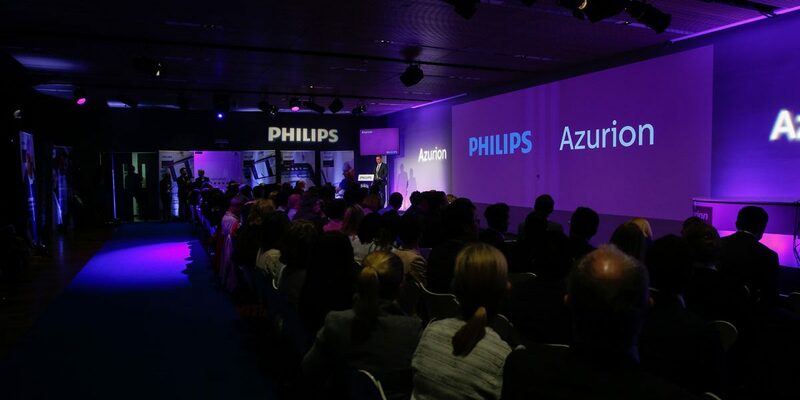 Philips Healthcare engaged Agent Creative to create a launch event for their new, cutting edge integrated health technology system ‘Azurion’. The Philips Azurion is a “new-generation image guided therapy platform that allows you to easily and confidently perform precision procedures with a unique user experience”. It was a unique project as the name and technical information about the product was totally under wraps until 7 weeks prior to the launch date.